This Happy Every After or ‘A Pea Ever After’ illustrated vegetable art print is perfect to hang on your wall. 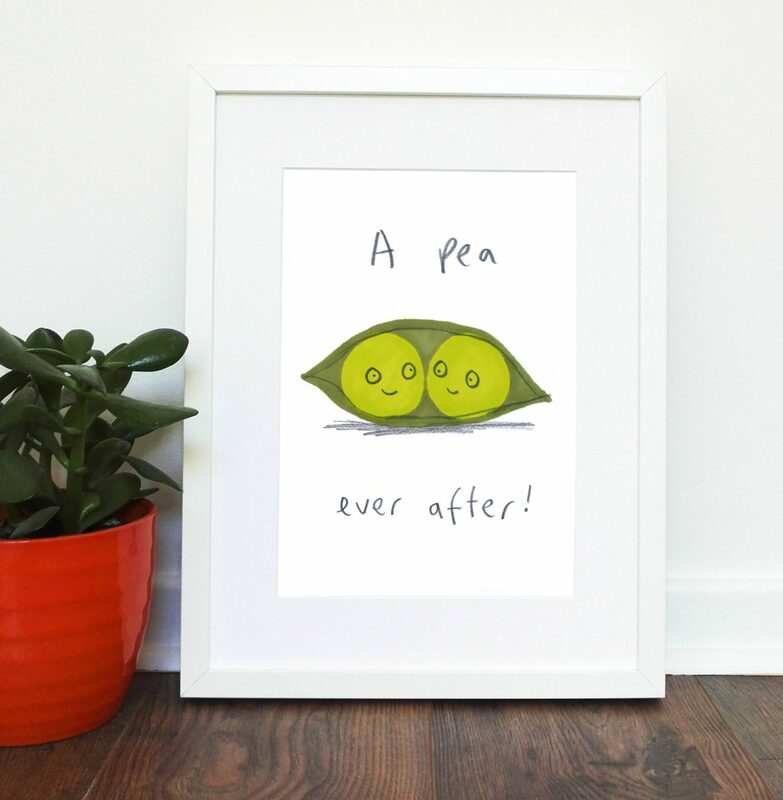 A lovely gift to send for a special engagement, wedding gift or anniversary to make someone smile. 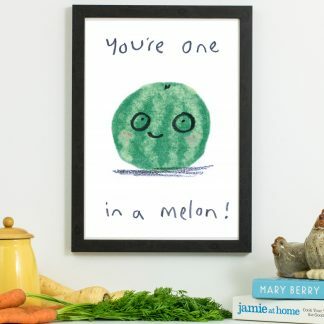 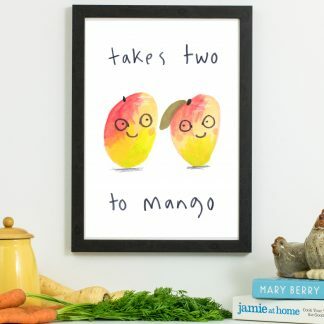 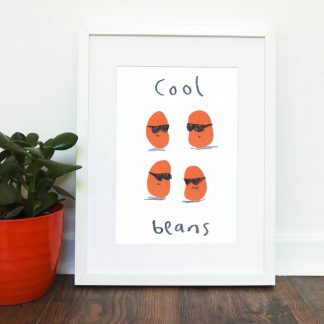 Perfect gift for vegetarians and vegans, they will love this cute quirky print.Collect the full set and create a great display which would look perfect in a kitchen or dining room.Available as A3 420mm x 297mm, or A4 297mm x 210mm sizes. 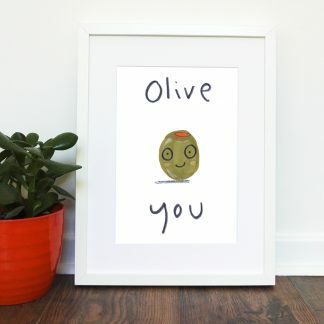 Giclee print using archival quality matt photo paper, please select from the drop down menu.Please note the print is unframed, image for illustrative purposes only. 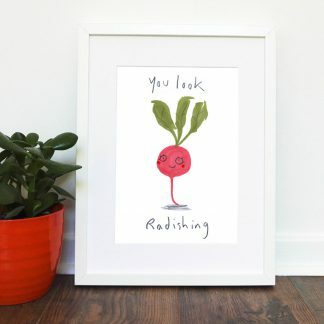 Your item will be dispatched to you in a postal tube.